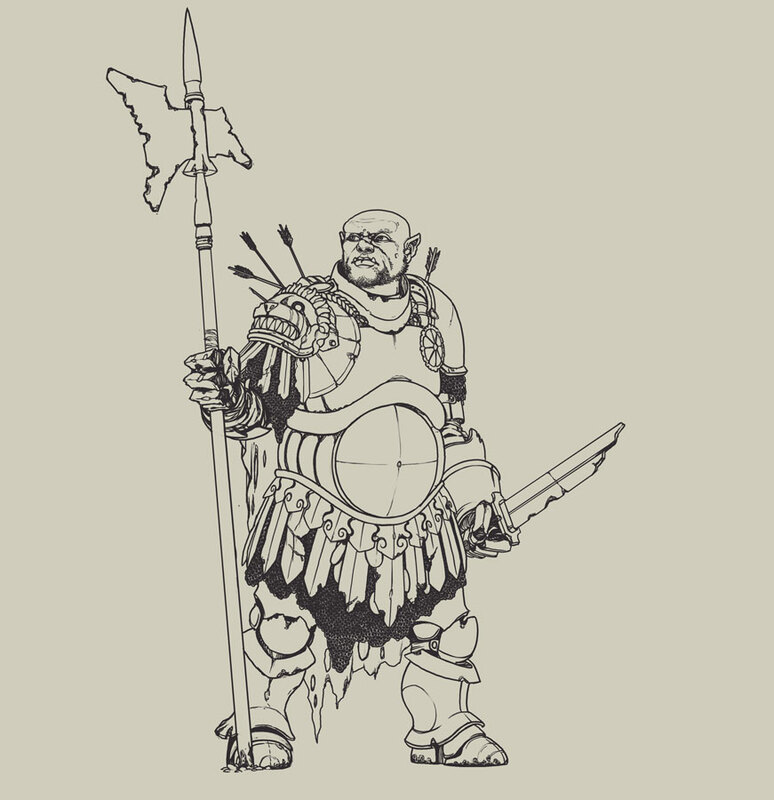 RPG character design for individual client. 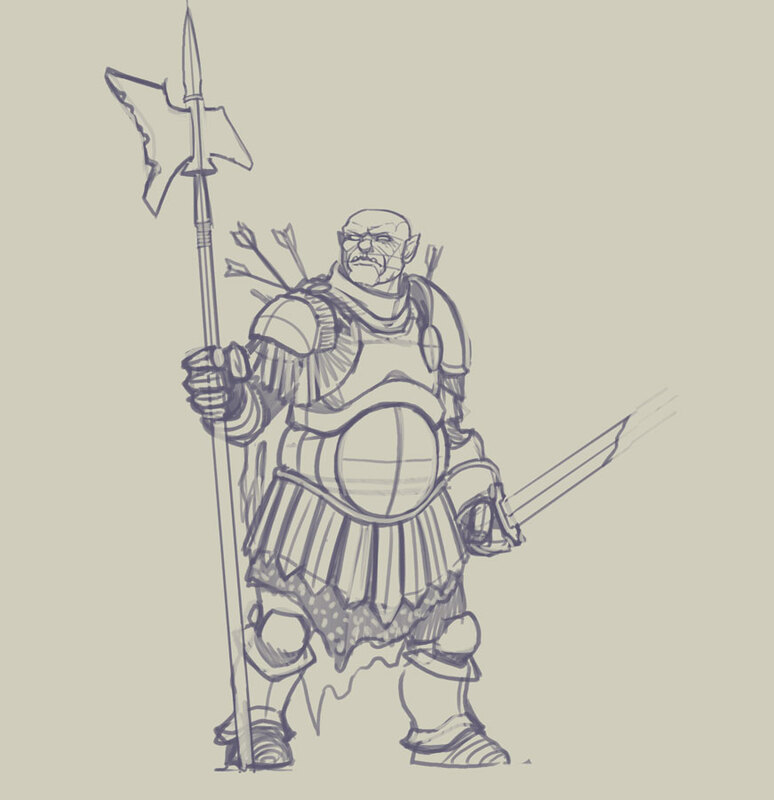 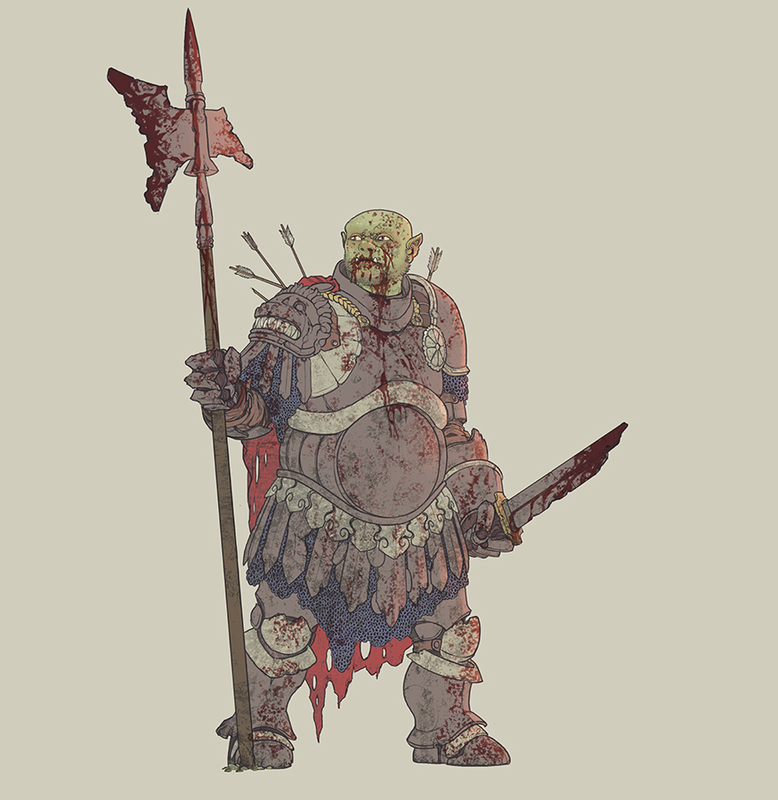 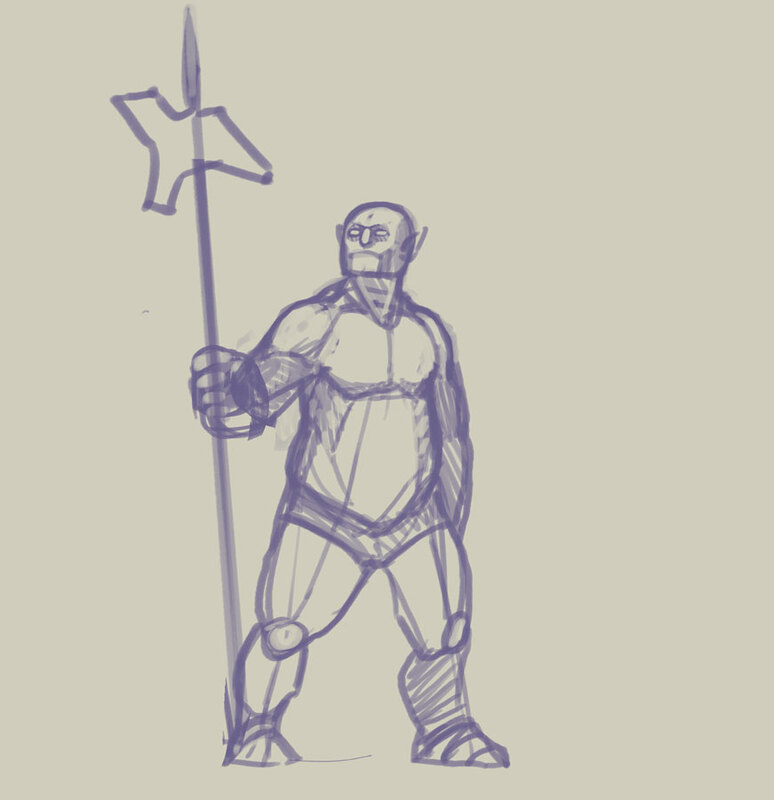 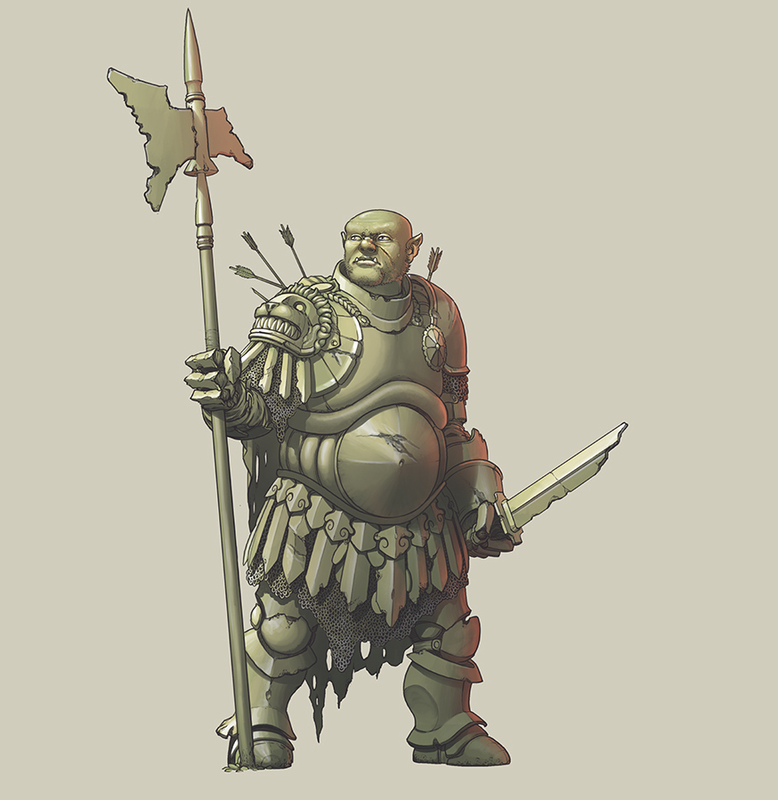 A half-orc warrior, the client requested that their character “Grun” be shown standing after battle, in full armor. 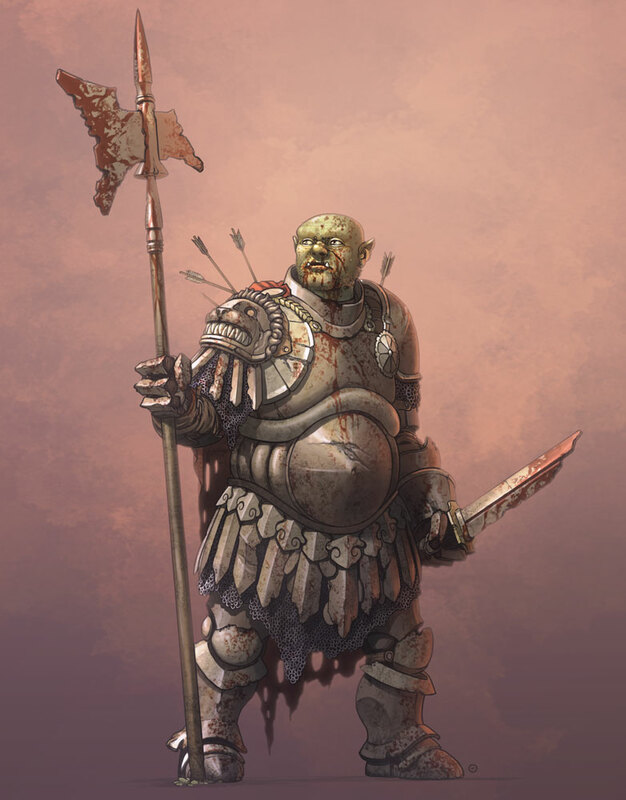 Made digitally in Adobe Photoshop, process available in the gallery below.